Right now is the time of year that salmon are embarking in their long journey upstream to spawn. The annual migration is one of the Pacific Northwest’s most awe-inspiring biological phenomenons and it can be viewed in person just minutes from Ten Trails! Just a few miles from community, the Cedar River boasts Sockeye, Chinook, and Coho salmon–all of which can be viewed completing their migration. 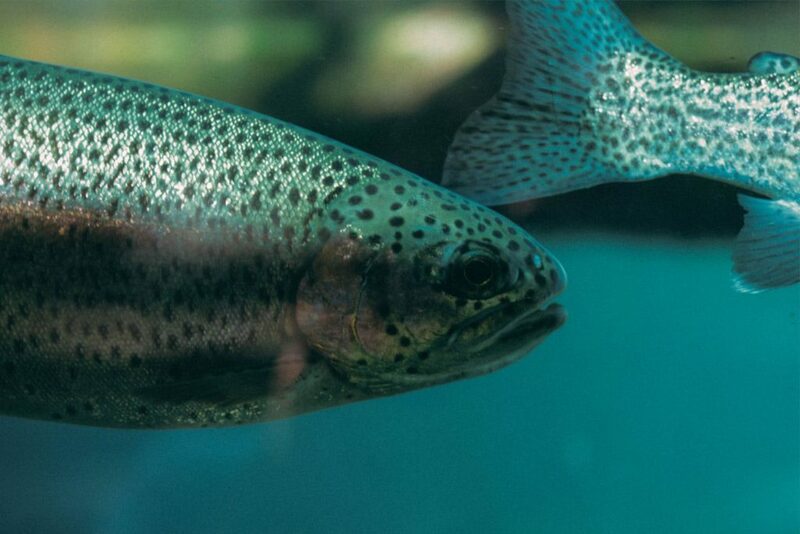 Within a short drive from the community, you and your family can learn from local naturalists about the annual travels that salmon take from the Pacific Ocean to the Cedar River to spawn. Aside from being fun to watch, the salmon migration offers a great opportunity for a learning experience for the entire family! Naturalists are onsite at Landsburg Park in Ravensdale during the hours of 11 a.m. to 4 p.m. on October 20, 21, 27 and 28. Visitors will have the opportunity to look for the brightly-colored Sockeye in the river and learn about the yearly migration from experts in the field. Interaction and questions are encouraged, especially from younger participants. In addition, Ten Trails families can take a 40-minute walking tour up to the Landsburg Dam and learn about the Seattle area’s water supply as well as how salmon are allowed to pass above the dam. This is a free tour that is perfect for the whole family. To learn more about the salmon run at Cedar River, visit Seattle’s Child’s website. Follow Hwy. 169 southeast from I-405. Shortly after crossing under Hwy. 18, turn left (NE) at light on SE 216th Way. Go about 3 miles. Turn right (S) on 276th Ave. SE. Go about 1.5 miles. As you drive downhill, Landsburg Park will be on your left. Parking is available on the left and right sides of the road. Please note, the last tour leaves at 3:15pm.